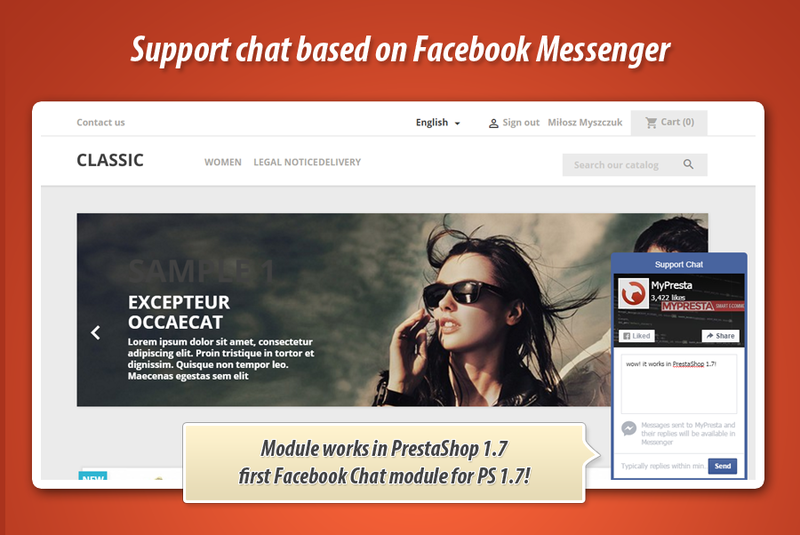 With this PrestaShop module you can build Facebook Messenger chat window that allows to send messages to your Facebook fanpage (directly from your website). 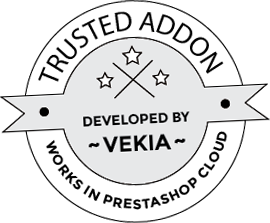 Plugin contains features to customize appearance of the widget - so you can define design that will fit to your needs (and to your shop desing). 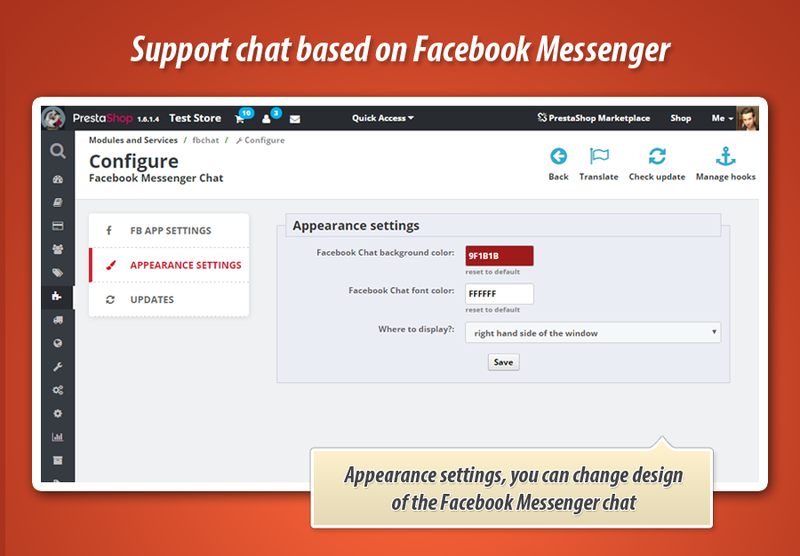 Addon allows to run one from two chats: facebook page chat or facebook messenger chat. 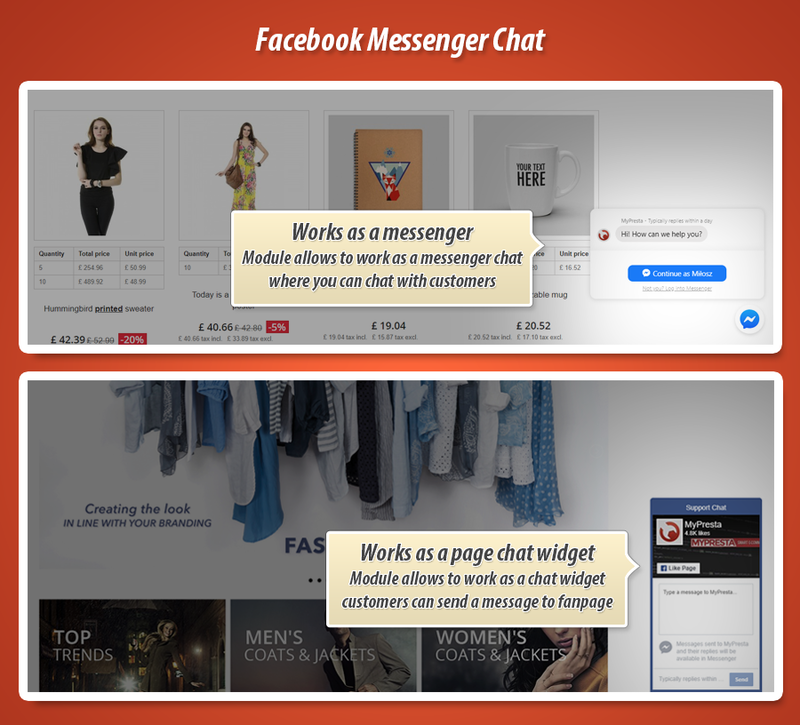 Main feature of facebook messenger addon in PrestaShop is a possibility to create integration with your shop and your facebook fanpage mailbox. 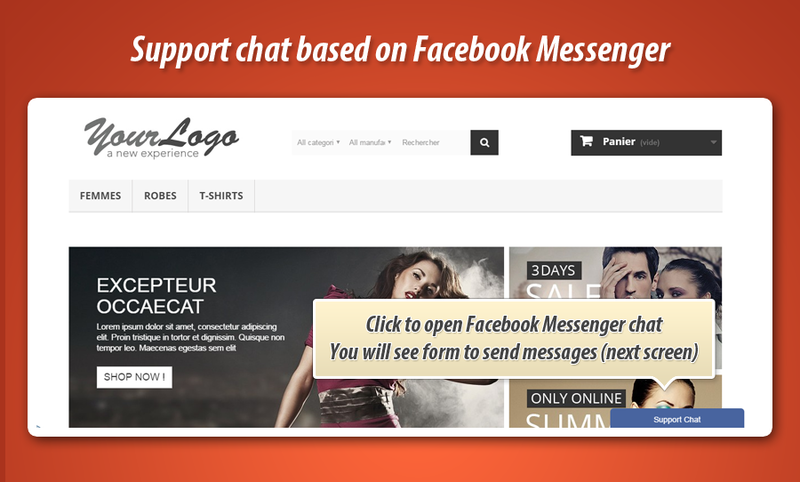 Customers will be able to get quick contact with you via your Facebook Fanpage channel. 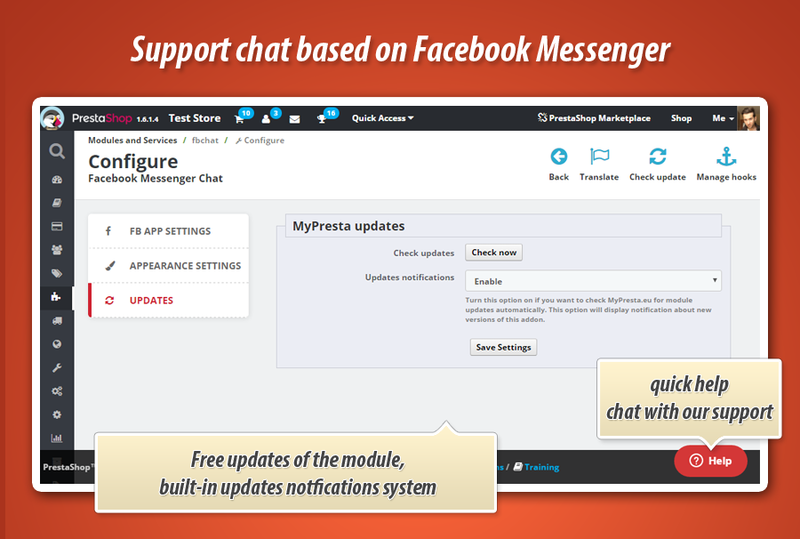 Module contains several additional features to personalize it. Details below. 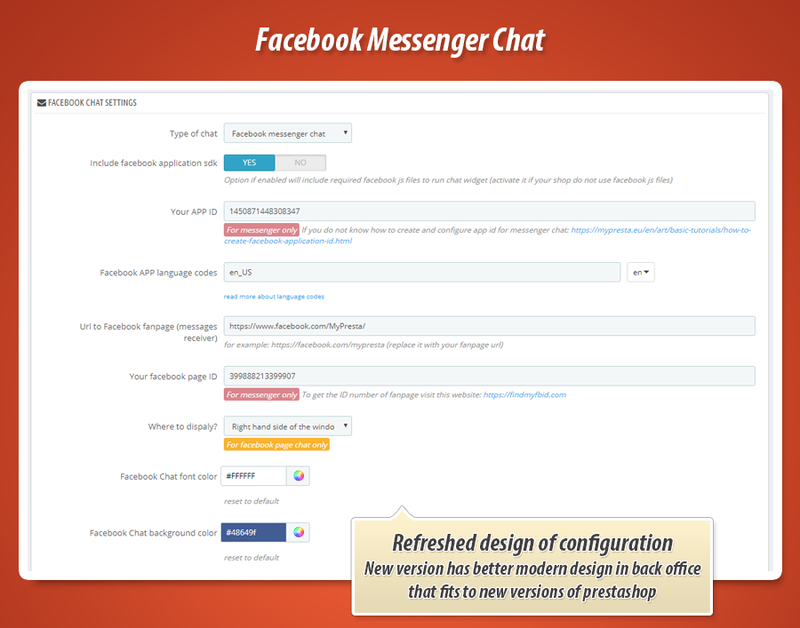 Of course you can define several most important settings of facebook application that module will use to build this facebook messenger widget. It is worth to list them below because these settings are necessary from marketing point of view and module workflow. 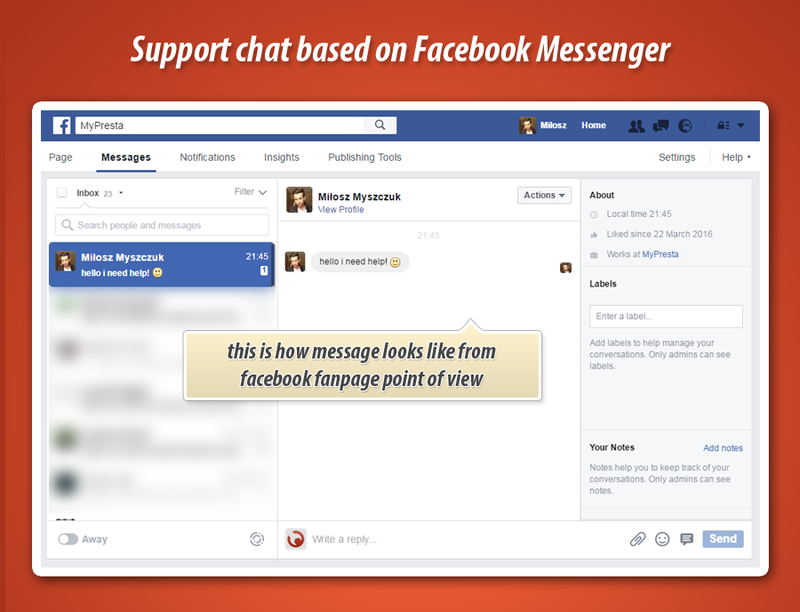 You can specify language version of the facebook messenger window for each available language in your shop. This is important feature to build widget in correct language. 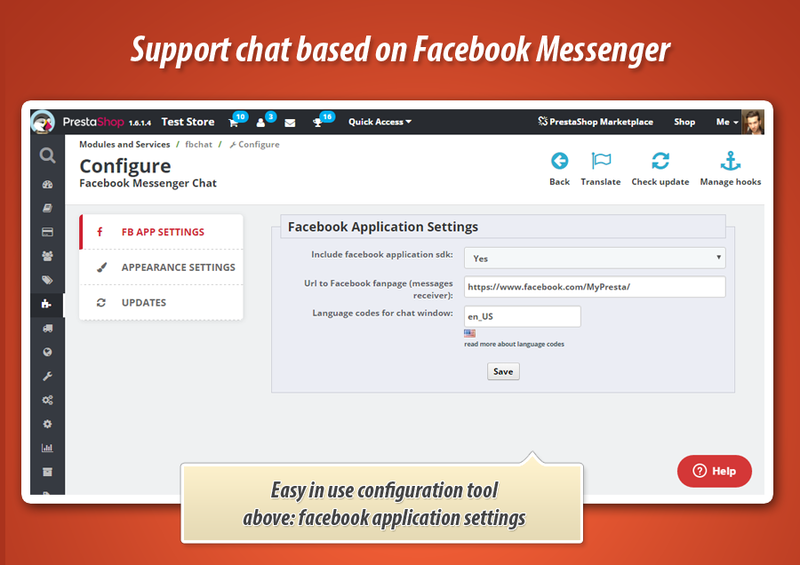 You can define to what Facebook Fanpage this widget will send messages. 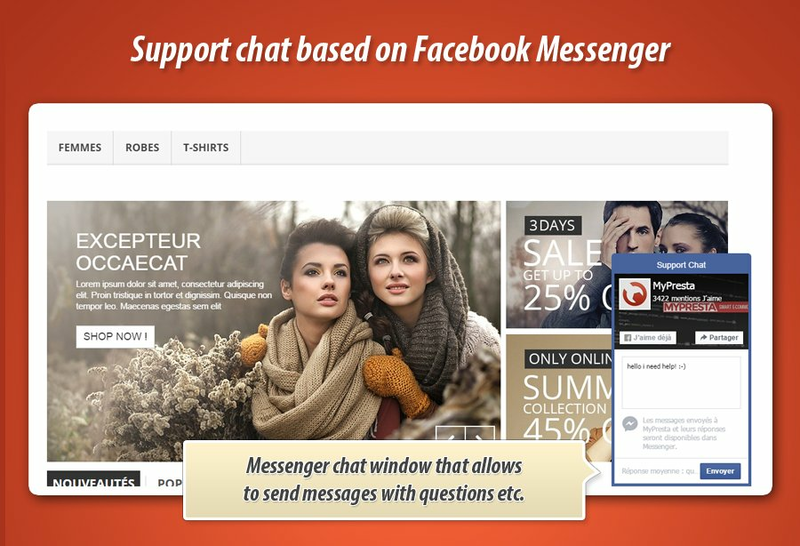 Sometimes, when shop uses other facebook widgets - the variety pf scripts used can break other things. Because of this module has got possibility to disable own facebook libraries, which means that it will not break other facebook plugins! Of course as an owner you can personalize how this widget will look like and where it will appear. It's important, because sometimes it is very important to build consistent template layout.